LawickMüller is an artist duo consisting of Friederike van Lawick and Hans Müller. The pair have been collaborating since 1990, when they started exploring the possibilities of early, pre-Photoshop digital imaging software. 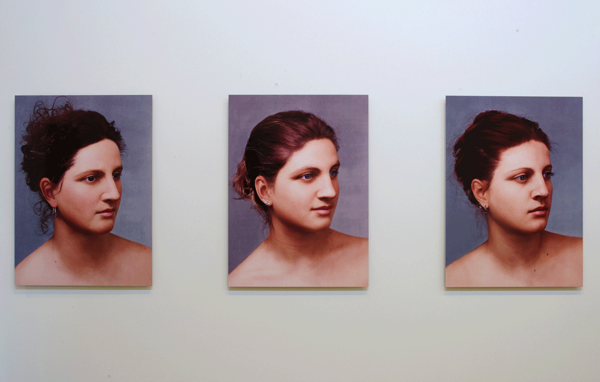 With the specter of genetic engineering, human cloning, and other science fiction fantasies looking increasingly plausible in the 21st century, the artists conceived of the series perfectlySUPERnatural, in which they pose diverse individuals in the attitude of celebrated examples of classical sculpture—in the case of these three works, Venus de Milo—and then alter their features to achieve the Grecian ideal of symmetry and proportion. The uncanny resemblance among the resulting faces draws the pursuit of perfection to its ultimate conclusion: perfect anonymity.